This week raised some eyebrows with regards to the latest Steam hardware and software survey that appeared to indicate that virtual reality sales figures were heading on a downward spiral and “flatlining”. Some reports suggested that perhaps this is signifying the beginning of the end of VR as just a passing fad. 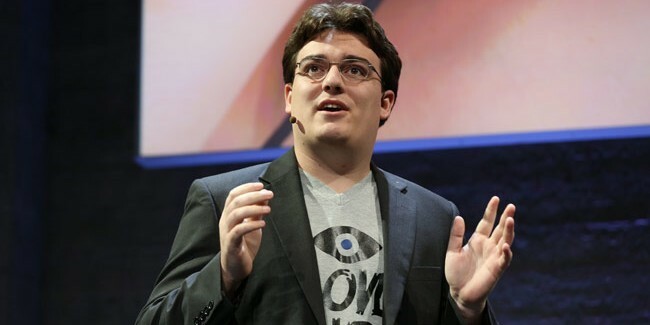 However, in an effort set the record straight, Oculus founder, Palmer Luckey took to Twitter and pushed back dismissing the results of the survey. In his post Luckey tweets: “So much clickbait about Rift/VR sales ‘flatlining’ or ‘crashing’ based on the Steam user hardware survey. Not how the data works, guys.” He goes on to point out that only a certain fraction of users who use their headset with Steam actually take part in the survey, which is completely optional, and Luckey further asserts that the vast majority of the VR market never even touches the Steam survey. According to the data, only 0.10% of Steam’s user base has an Oculus Rift, while 0.18% has an HTC Vive. The data also seems to show a decline from 0.03% to 0.01% in the user base of Oculus Rift from July to August, while the Vive remained stagnated over to the previous month. However, regardless of the Steam survey, the future of VR does appear to remain optimistic as the revenue forecast for virtual reality, including the augmented reality industry is expected to hit over $160 billion by 2020, according a new IDC report. While some may view Luckey’s response as perhaps slightly defensive and expected, there is a clear augment to be made against insufficient data that may misinform the public by not fully representing all the essential facts. However, until Oculus decides to release some official growth and sales figures of their own, it’s likely many will continue to speculate and base opinions around third-party data that is made available. Perhaps, we will gain some additional insight on current growth and sales data of the Oculus Rift at the upcoming Oculus Connect 3 conference later this year, but for now, will just have to take Luckey’s word for it.